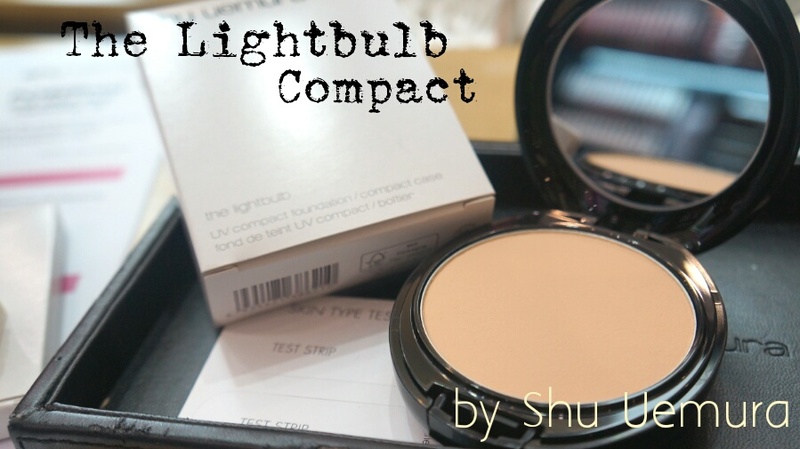 It's been a while since I've done a Foundation Review, but I am back with a vengeance, and kicking things off for this next batch of foundations is Shu Uemura's latest release - the Lightbulb UV Compact Foundation. If you like glowing finish foundations or just Shu Uemura in general, you might have noticed the release of their Lightbulb Liquid Foundation last year - a foundation formulated to give you glowing skin the way you would if your face was lit by a soft lightbulb. The foundation comes packaged along with a sponge applicator (much like the BeautyBlender, except specially formulated for the Lightbulb foundation's texture) and was a huge success. This year, Shu Uemura has come up with an ingenious sister product - the Lightbulb UV Compact Foundation. This is the Lightbulb foundation in powder form, and is perfect for use in our humid climate. I love the sleek, polished look of the egg-like compact that houses this foundation. It is made of plastic with a glossy finish, and the foundation plate lifts open to reveal Shu Uemura's special two-sided applicator. Yes, this foundation also comes with its own applicator, specially formulated for the foundation's texture and finish. When you purchase, you get a refillable compact, a powder refill, and a sponge. One side of the sponge is for application - swirl the sponge into the product, and then apply it in swiping motions; and the other side is to buff the product out to enhance the glow - buff in circular motions on the cheeks, and in zig-zag motions on the forehead, nose and chin. This compact comes in 16 shades - 2 more than the liquid - so they'll match most skin tones. The powder formulation on this foundation is very fine, so when applied it almost feels like a cream. It spreads onto the skin easily with the help of the applicator, but I've also tried and enjoyed using a buffing brush to apply it - I feel like you get a little more coverage with a buffing brush, though the finish isn't as 'glowy'. Apply with the packaged applicator, and you'll see a lovely, glowing finish. The powder also contains an SPF of 30++, which is great, but as always, I encourage you to always apply your own sun protection, because you can't get enough sun protection from a foundation. I love that even though this is a powder texture foundation, it still gives me a luminous glow, as if I was wearing a liquid foundation. It feels really light and comfortable on the skin, and I especially appreciate that because liquid foundations (which are the type of foundation I normally use) can be quite thick and feel really sticky to the touch unless I set them with a powder. This lasts quite long on my skin, and oil only starts to show through at the end of the day (around 4pm). One word of warning - make sure that your skincare/sunscreen has completely absorbed into your skin before applying this foundation. Otherwise, this foundation will ball up and crease wherever your skin is a bit wet and sticky from product. 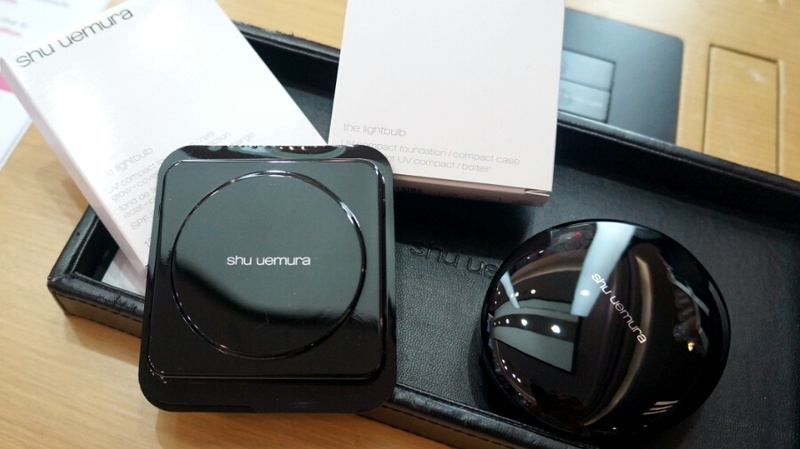 The Shu Uemura The Lightbulb UV Compact Foundation has been launched and is on counter now. It retails for RM180.